This week is Ghost Week! Yeserday we shared a fun mini ghost windsock craft that is always a hit. 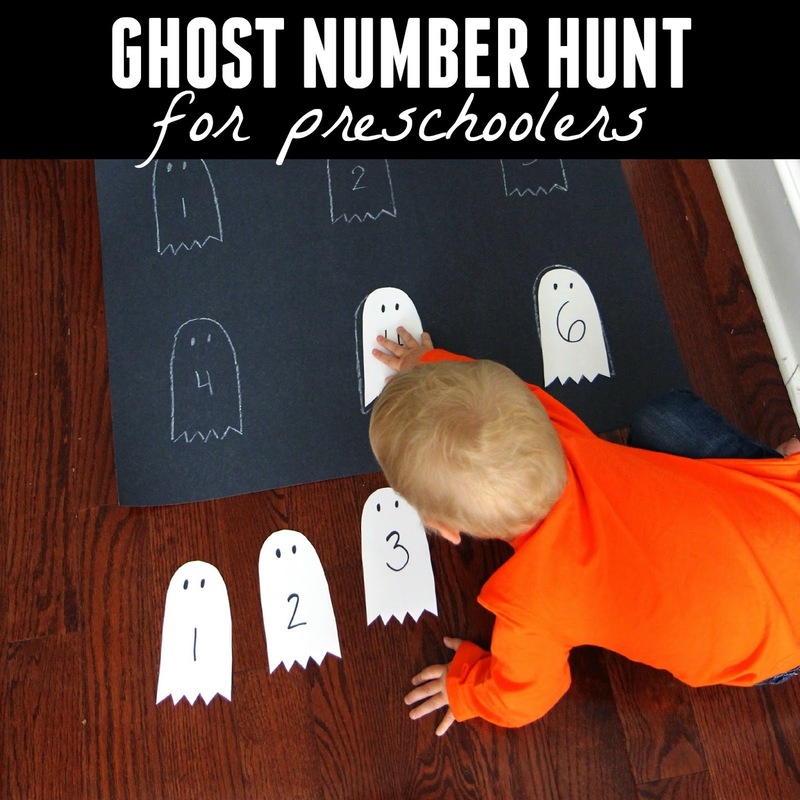 Today we are sharing a ghost number hunt for preschoolers and older toddlers! This activity is very quick to set up and kids love to play it again and again! 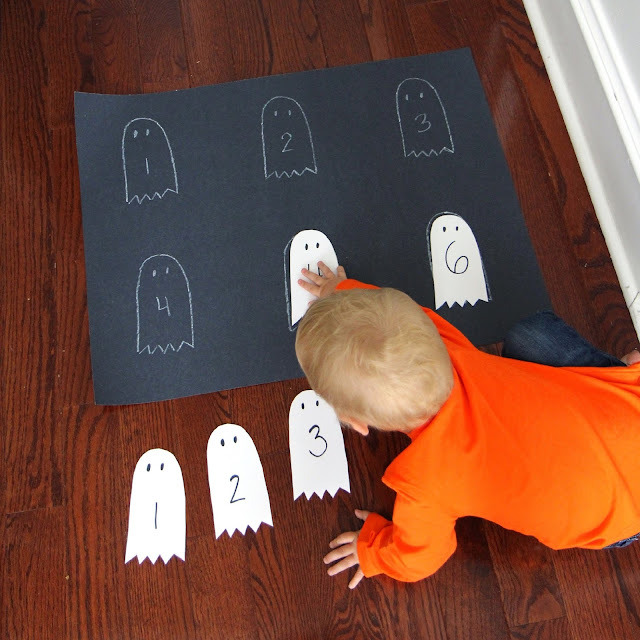 Print out our ghost template onto cardstock and cut ghosts out of cardstock (as many as you would like). Next write numbers on them (or leave blank for little ones... you could even write alphabet letters!). 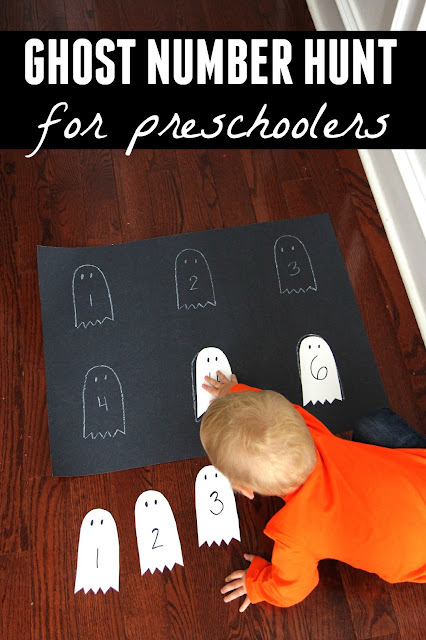 On a black posterboard, trace the ghost outlines using a white crayon. Hide the white cardstock ghosts around your house and then send kids off to find them! Once children find the ghosts, have them match them to the ghosts on the black posterboard. Such an easy peasy activity but always a lot of fun! Come back tomorrow to check out the next activity we will be sharing for Ghost Week!